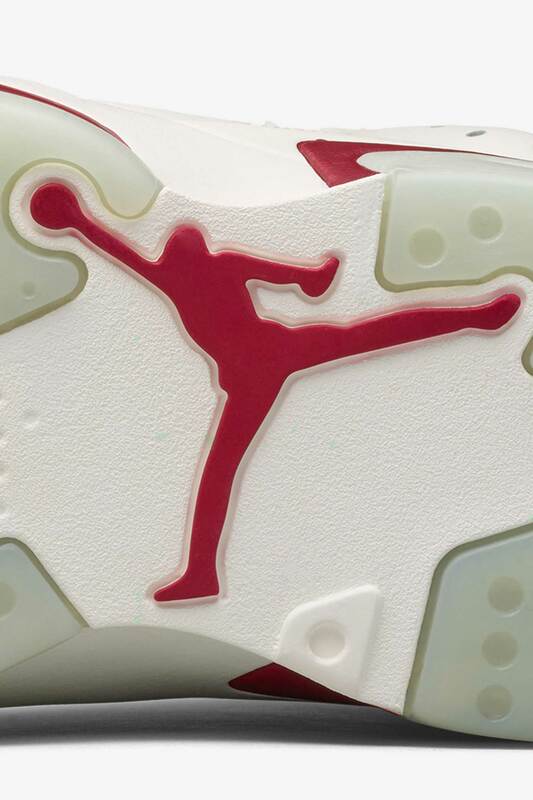 Born in 1991, the Air Jordan VI represents MJ’s first taste of championship glory. 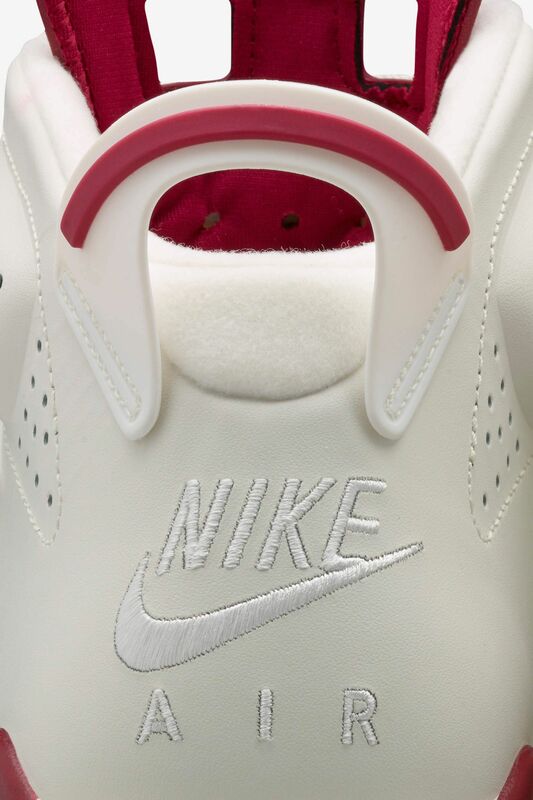 The signature arrived in five legendary colorways, complete with a spoiler-inspired heel pull, a specifically developed tongue, lace locks and an icy outsole. 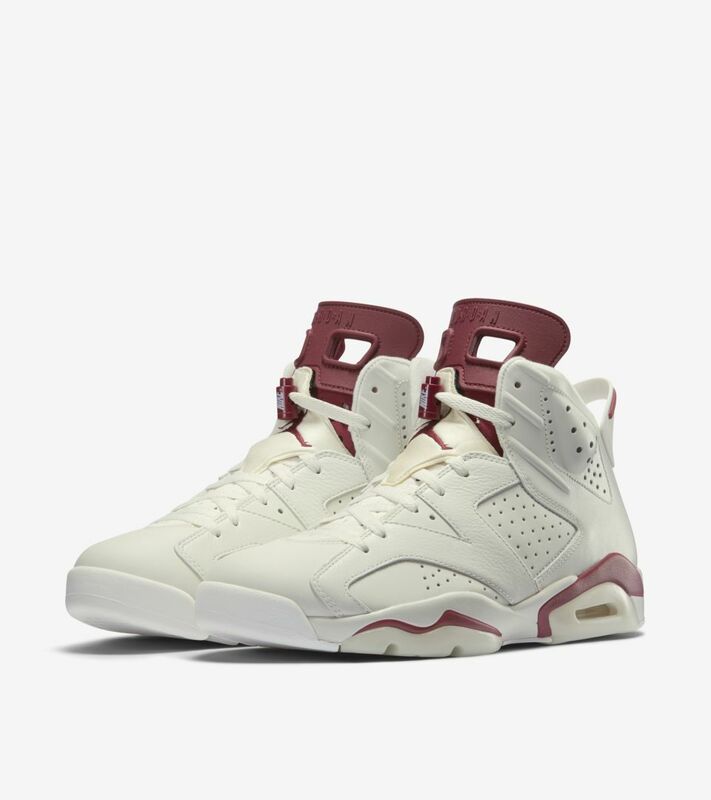 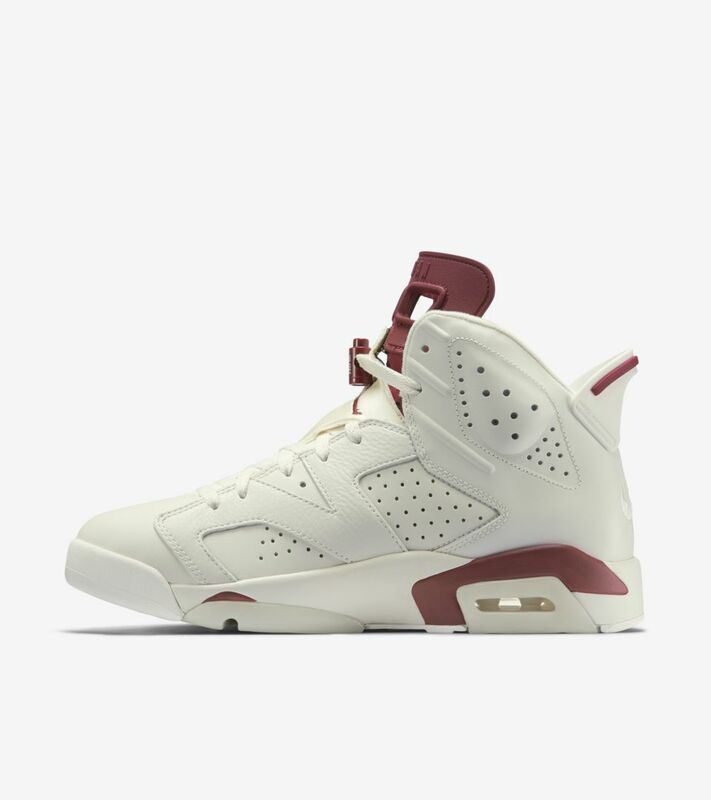 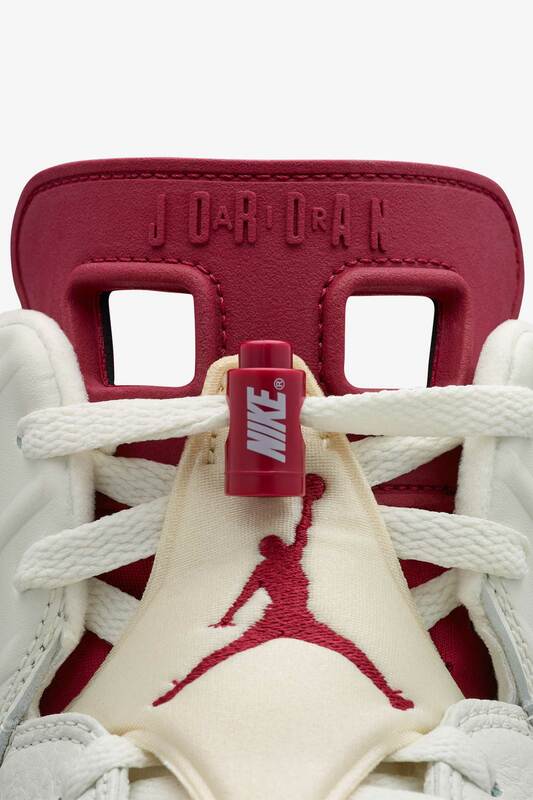 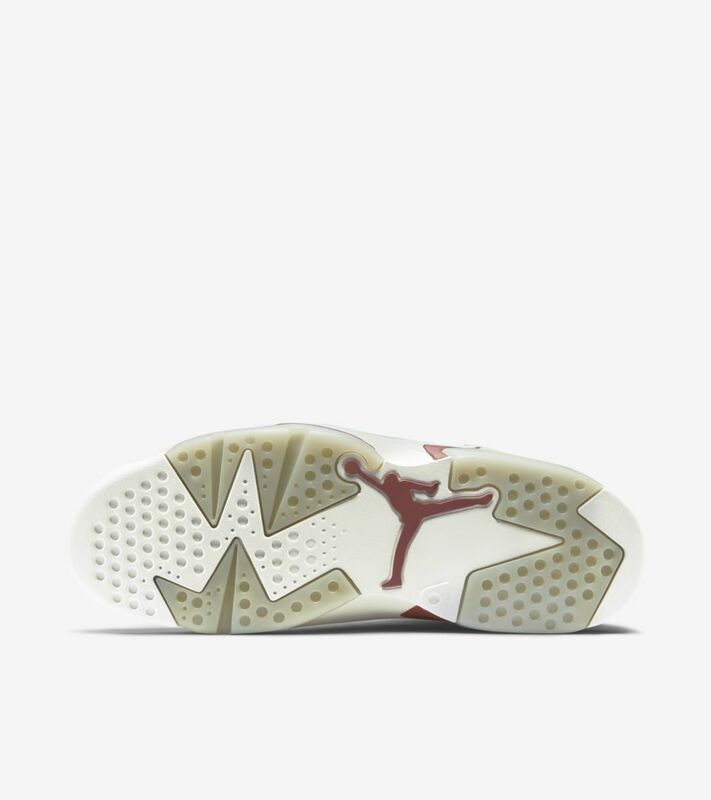 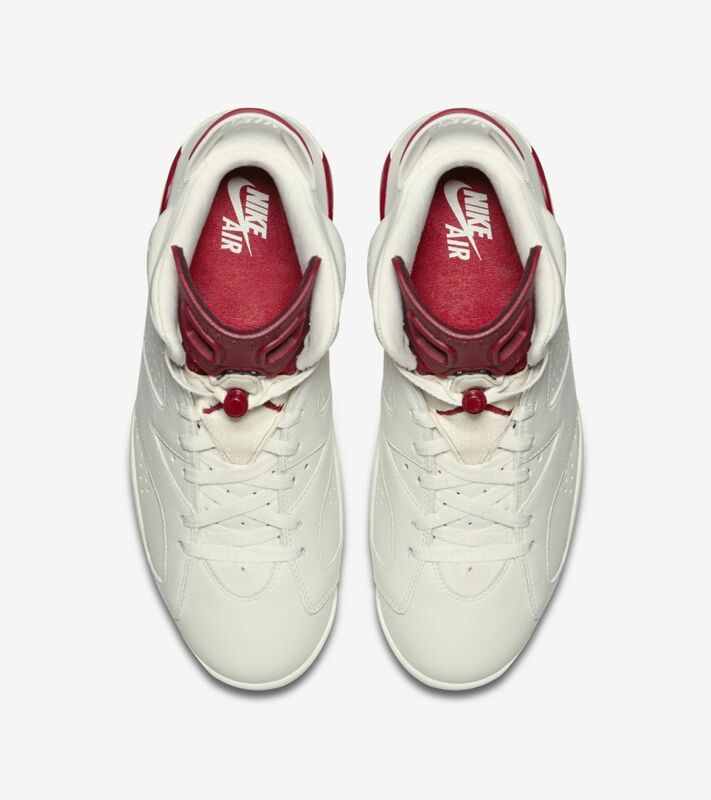 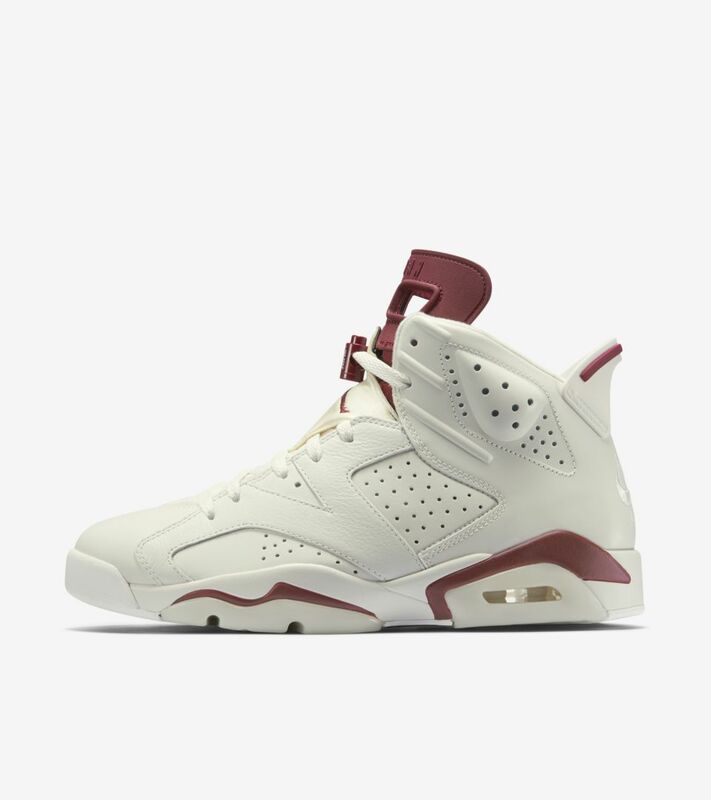 Now, the Air Jordan VI returns in the off-white and new maroon combination last released in 1991. 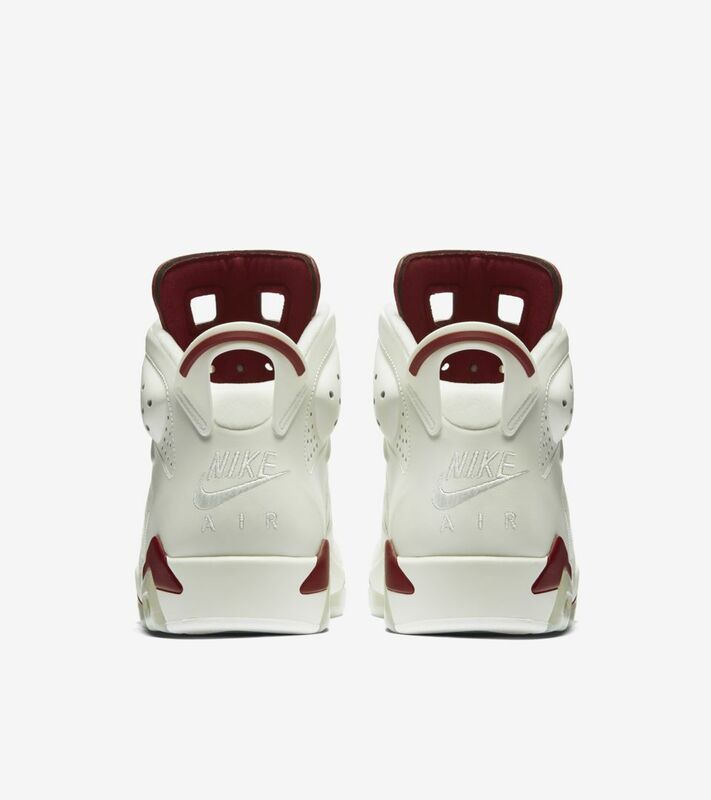 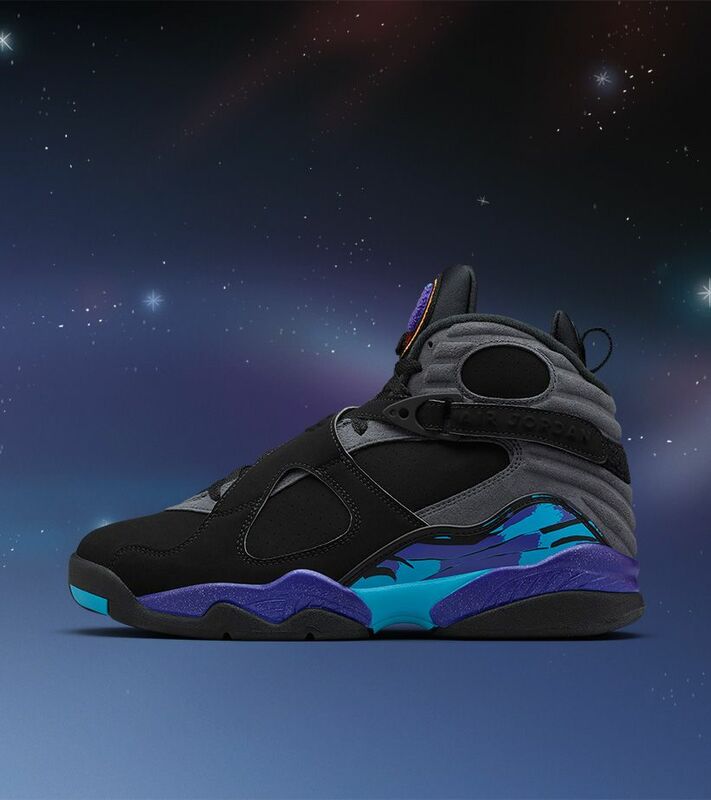 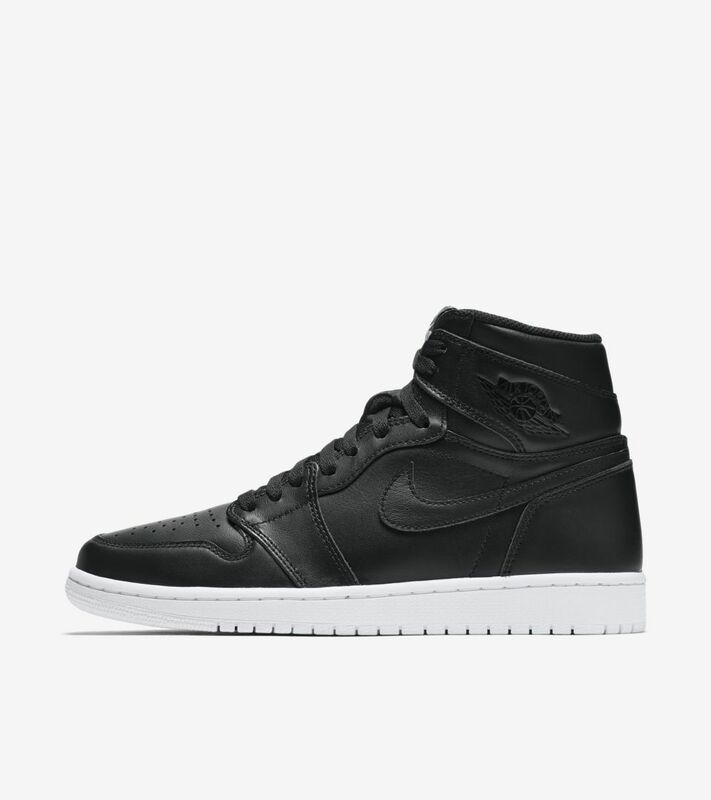 True to form, the Air Jordan VI reissue is complete with all original elements, including classic Nike Air branding on the heel, sockliner and lace lock.